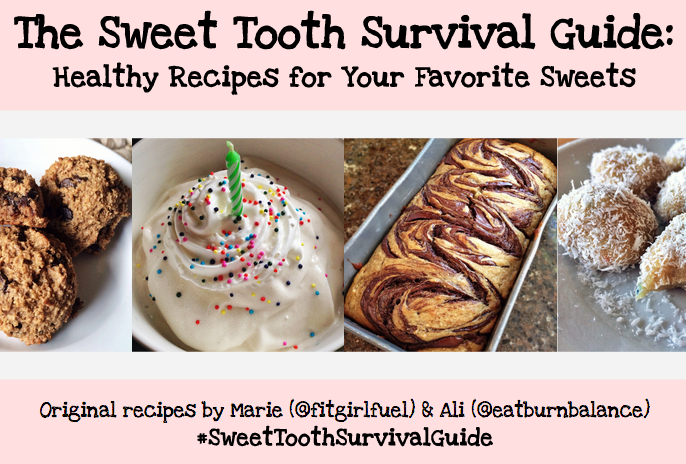 After spending many hours measuring, mixing, baking, and taste testing, Ali (@eatburnbalance on Instagram) and I have finally finished our recipe ebook, "The Sweet Tooth Survival Guide: Healthy Recipes for your Favorite Sweets". We concocted 25 healthy re-makes of popular sweet treats, like banana bread, chocolate chip cookies, soft serve ice cream, brownies and more. There is something for every sweet tooth! 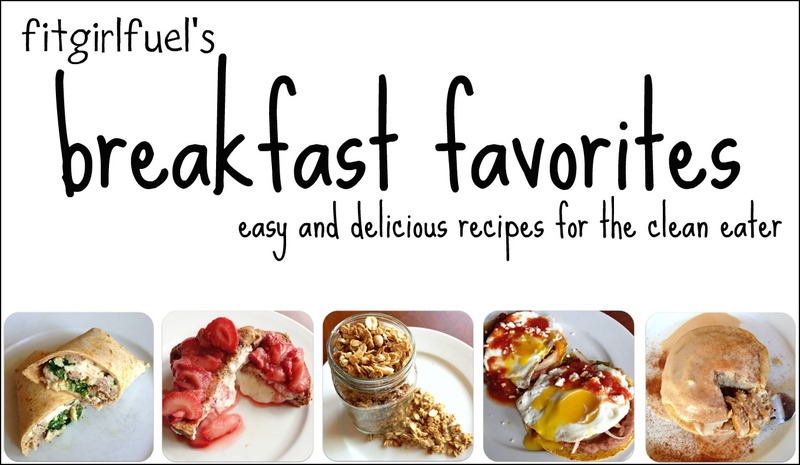 Each recipe includes: a color photo, ingredients list, detailed instructions, tips/substitutions, and nutritional information with macronutrients. For it's first week, the ebook will be on sale for only $5! One week after publishing (11/21), the price will go up to and remain at $8, so get it while it's on sale! Easy, all you have to do it click the tab to right, titled "eBooks". There you will find a big green button that says "buy now". All you have to do is click that and it will take you to PayPal where you can either use a PayPal account, or pay with a credit/debit card! The file will automatically start downloading upon your successful purchase. It will download as a PDF, so that means you can access it from a computer, iPhones, iPads, tablets, e-readers, Android phones etc. If you want a hard copy, simply print it out! Apple devices require the iBooks application to save PDFs, which is free to download in the App Store. Get cooking! We would love to see what you make, so take lots of pictures and tag us on Instagram (@fitgirlfuel & @eatburnbalance) and use the hashtag "#SweetToothSurvivalGuide" please! My Healthy Made Easy ebook is officially ready for purchase! 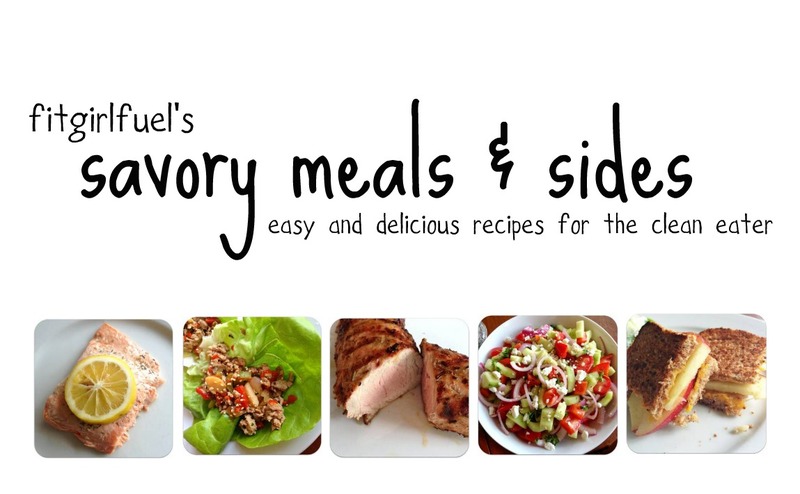 I am selling it for only $12 USD ONLY $10 USD thru 8/13/14--A great deal for over 40 recipes, plus lots of bonus tips and information. This ebook is perfect for college students, busy professionals, homemakers, or anyone who is looking for a way to spice up their healthy eating lifestyle. 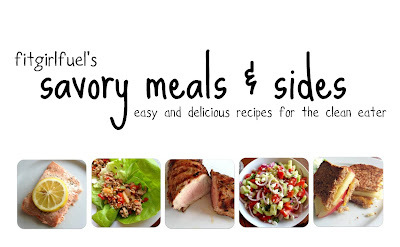 None of the recipes require lots of dishes or appliances, and are quick to prep and cook! Plus, I include tips and substitutions for simplifying them even further. "Healthy Made Easy Grocery Guide"
"My Top 10 Cafeteria Eating Tips"
"Snack & Quick Meal Ideas"
Get cooking! 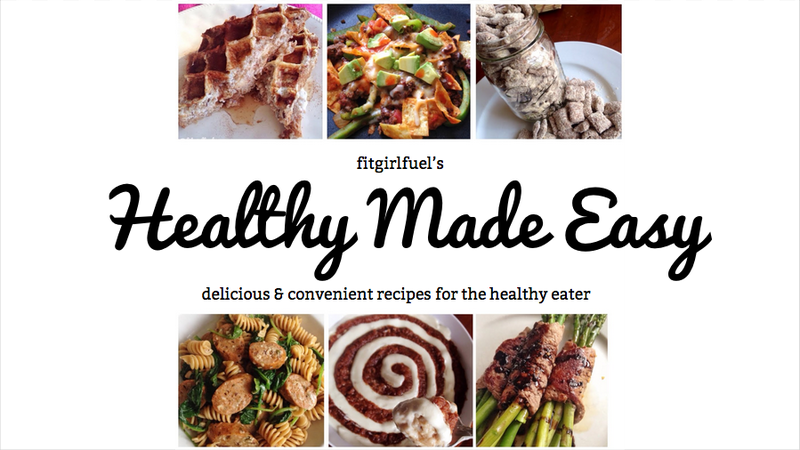 I would love to see what you make, so take lots of pictures and tag me on Instagram (@fitgirlfuel) and use the hashtag "#fitgirlfuelrecipes" please!